As my colleague Monique Ashamalla pointed out over at our sister blog, IP Advocate, the Federal Court of Canada recently handed down a judgment of particular note to content owners: the court awarded $10,000,000 in statutory damages against a defendant who copied and uploaded infringing copies of TV shows The Simpsons and Family Guy. The default judgment is impressive for its sheer size: the aforementioned $10,000,000 in statutory damages plus another $500,000 in punitive/exemplary damages for “repeated, unauthorized, blatant, high-handed and intentional misconduct and  callous disregard for the Plaintiff’s copyright rights”. The judgment does not go into detail regarding how the $10,000,000 figure was arrived at, though we know the conduct which occasioned it: the defendant copied episodes of The Simpsons and Family Guy from television broadcasts, uploaded them to servers accessible via the internet and enabling users to watch the episodes online. The defendant received revenue from the activities and the judgment describes his activities as being “for commercial purposes”, thus allowing the plaintiff to access the “commercial purposes” statutory damages scale of $500-$20,000 per work. The judgment also contains an injunction prohibiting the defendant from further infringements of the plaintiff’s copyright in the programs (including in future episodes not yet created). Of additional interest is the fact that the judgment awarded costs to the plaintiffs on a “substantial indemnity” basis in the amount of $78,573.25 – that means that the plaintiffs did not get all of their legal costs covered, but probably something north of 50%. All of which is to say that, as sobering as the amount of the statutory and punitive damages awarded is, it’s also worth noting that it evidently costs plaintiffs something north of $75,000 to prosecute an undefended copyright infringement action in Federal Court. Mr. Robinson was vindicated: the defendants were found to have infringed Robinson’s copyright in a proposal for an animated television series which he titled “The Adventures of Robinson Curiosity“, which drew inspiration from the 1791 Daniel Defoe novel Robinson Crusoe. The precise manner in which Robinson’s copyright was infringed was important for our purposes: it was the production of an animated television series entitled “Robinson Sucroë” which was found to constitute an act of infringement. The nature of that infringement is important because it speaks to a broad category of infringement of particular relevance to entertainment lawyers working in the film and TV industries: copyright law uses the terms “literal” and “non-literal” copying to describe the distinction at play here, though we could also use the terms “actual” and “resemblance” copying; it’s the difference between me taking your painting and sticking it in the scanner/photocopier (that would be an example of literal/actual copying) and me looking at your painting and painting something which looks an awful lot like it (that would be non-literal/resemblance copying). And what happened in Robinson involved non-literal/resemblance copying because, by virtue of what Claude Robinson had created (which was the precursor elements to a TV show), it would be unusual for there to be a case involving a defendant who literally copied what Robinson had created. Robinson had created numerous sketches of characters, short comic strips and art-based promotional materials, along with voluminous written-word materials such as scripts or synopses (what might in more polished form have been referred to as a “bible”). But Robinson had not created a “television series”; what the defendants created was a television series – and grappling with how the latter could infringe the former is an important part of understanding what occurred in this case. While the Supreme Court’s decision is interesting in its own right, the real “meat” of the analysis is found in the trial court decision and, to a lesser extent, the Court of Appeal decision. To make life interesting, the original Quebec Superior Court decision (2009 QCCS 3793), which runs to a mind-numbing 1,121 numbered paragraphs, is in untranslated French. The Quebec Court of Appeal decision (2011 QCCA 1361), though, is available in English. Reading just the SCC decision won’t provide most lawyers with the detailed infringement analysis they’re looking for – you’ll have to resort to the lower court decisions for that. From an entertainment lawyer’s perspective, it strikes me that the most important aspect of the decision is that it constitutes indisputable authority that (a) copyright can subsist in “proposals” or “treatments” or even “formats”, and (b) such copyright can be infringed by the creation of an audio-visual work (such as a television show) which makes “use” of the elements of the proposal without ever actually literally copying those elements – in other words, creating something which sufficiently “resembles” the aggregate elements of the proposal can constitute copyright infringement. The SCC’s comments on “substantiality” (as in, copyright protects against reproduction of the work or “any substantial part thereof”) merit attention [see paras. 25ff of the decision]. The Court re-affirms that the Copyright Act does not protect “every particle” of an original work, and observes that “substantial part” is a “flexible notion” and a “matter of fact and degree”. Here is the nub: “what constitutes a substantial part is determined in relation to the originality of the work that warrants the protection of the Copyright Act. As a general proposition, a substantial part of a work is a part of the work that represents a substantial portion of the author’s skill and judgment expressed therein”. That seems to me to be an oblique affirmation that the “more” original (or technically “better”) a work is, the easier it will be to find infringement of it – put a different way, only “thin” copyright protection will attach to relatively “unoriginal” works, whereas “thicker” protection will attach to more “original” (i.e., technically accomplished) works. The continuing refusal of Canadian courts to expressly adopt the Altai test (the “abstraction-filtration-comparison” test) as the analytical framework for assessing purported infringement remains utterly mystifying to me. 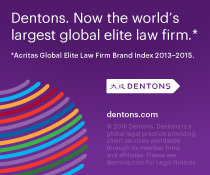 (For reference, the Altai test is derived from the US 2nd Circuit decision in Computer Associates International, Inc. v. Altai, Inc., 982 F.2d 693 (2d Cir. 1992).) In Robinson, the SCC gives a lukewarm-to-frigid assessment of the Altai test, opining that “I do not exclude the possibility that such an approach might be useful in deciding whether a substantial part of some works, for example computer programs, has been copied. But many types of works do not lend themselves to a reductive analysis.” Here’s the thing: when Canadian courts analyze copyright infringement, they almost always engage in an Altai-like assessment, even though they refuse to call it by that name. Reading the SCC’s description of the trial judge’s infringement analysis (summarized in paras. 38-47), it’s difficult to characterize that analysis as something other than “abstract, filter, compare”. The SCC dismisses the suitability of the Altai test without identifying any problems with it (other than the vague assertion that it is too “reductive” for “many types of works”) or providing any examples of how its application would result in an unacceptable result. One example of the cognitive dissonance: in para. 36 the SCC states the infringement analysis should not be done “by dealing with the copied features piecemeal” and then asserts that the Altai test would “risk dissecting Robinson’s work into its component parts” – they then spend paragraphs 38-47 of their own decision dissecting Robinson’s work into its component parts and comparing the features piecemeal. (In particular, para. 41, in which the Court approvingly describes the trial judge’s infringement analysis, seems to be an almost perfect distillation of how one would apply the Altai test – so the SCC seems to like the application of the Altai test, they just don’t like calling it that.) There seems to be a critique of Altai which the courts are unable or unwilling to articulate – or, at best, they articulate the “problem” and then indulge in the problematic activity themselves (which indicates its probably not so “problematic” as they insist on asserting). The best explanation I can come up with is that the SCC is concerned that applying Altai will result in courts “missing the forest for the trees” – but since they provide no examples of such a flawed analysis in action, it is difficult to be sure that such is their concern. Instead of an Altai-like “abstract/filter/compare” test, the SCC prefers a “qualitative and holistic approach to assessing substantiality”, one which looks at the “character” of the works in question and looks “at the two works as a whole” [para. 35]. The “cumulative effect of the features copied from the work must be considered, to determine whether those features amount to a substantial part of [the plaintiff’s] skill and judgment expressed in [the] work as a whole” [para.36]. This sort of hand-waving, “I know it when I see it” approach has the virtue of flexibility but the downside of unpredictability – it means that the identity and predilections of the trial judge are more important than ever when trying to assess whether a particular work actually infringes another. Perhaps what the SCC is saying, somewhat clumsily, when it comes to the infringement analysis is that courts should engage in an initial “holistic” assessment to determine whether there is a plausible argument for infringement, and then they should engage in some kind of cousin of the Altai test which “filters” out (or “give little weight to”) unprotectable elements from the original work. I imagine this particular line will be enthusiastically cited in future infringement cases: “the development of a group of characters that have specific personality traits and whose interactions hinge on those personalities can require an exercise of skill and judgment sufficient to satisfy the Copyright Act‘s originality criterion” [para. 46]. Here are some of the elements of Robinson’s works which were infringed by the defendants (paras. 43-45): the “overall architecture”; the “graphic appearance and several aspects of the personality of [the] protagonist”; the “personalities of the secondary characters”; the “graphic appearance” of the setting (a “make-shift village”); the “distinct visual appearance” of the characters and the “particular visual elements of the setting”. Buried in the discussion on the admissibility of expert evidence (paras. 48-55) is an interesting take on the issue of whose perspective is to be used when assessing infringement. The Court states that it is “useful” to say that the question of whether a substantial part has been copied should be answered from “the perspective of the lay person in the intended audience for the works at issue” – but that a rigid rule requiring courts to assess from the perspective of the “intended lay observer” could result in injustice – as examples, they use comparing two pieces of classical music or, as with Robinson’s case, an animated children’s show, which would “shift the question to whether the copied features are apparent to a five-year-old”. Instead, while the “intended lay observer” may be a useful starting point, the ultimate assessment should be done from the perspective of “a person whose senses and knowledge allow him or her to fully assess and appreciate all relevant aspects – patent and latent – of the works at issue”, which may be “someone reasonably versed in the relevant art or technology”. That reference to “latent and patent” features is echoed a few paragraphs later (para. 55, to be exact), with a reference to “perceptible” and “intelligible” features. “Perceptible” features are those that can be “directly observed”, whereas “intelligible” features “affect a viewer’s experience of the work indirectly” – examples cited by the Court are “atmosphere, dynamics, motifs and structure”. This starts us down a road which it would have been interesting to see the Court explore a bit further: presumably there is some relationship between the ratio or number of “perceptible” versus “intelligible” features required to properly ground an infringement action. What I mean by that is that there must be some kernel (or more) of “perceptible” elements which have been copied in order to succeed in the claim that someone else has infringed your copyright – presumably someone could not simply “copy” the “intelligible” features of a work (pacing, atmosphere, etc.) and still be held to have infringed copyright. Presumably. “An officer of a corporation cannot be held personally liable for copyright infringement merely on the basis of his hierarchical status as officer” (para. 64). Similarly, being credited as an “executive producer” on an infringing audio-visual project (even if the individual in question is also a named officer of the corporate production company) is not sufficient to find that person personally liable for corporate malfeasance (para. 67). Instead, for a corporate officer to be held personally liable for copyright infringement, there must be direct evidence of the officer’s knowledge and/or involvement in the infringement, or “serious, precise and concordant” presumptions arising from specific evidence. In calculating the profits which had been enjoyed by the defendants as a result of their infringement, it was proper to include revenues generated by the “soundtrack album” which was released – even though the soundtrack album contained no materials which had been copied from Robinson’s work (i.e., Robinson had never created any musical elements which were copied on the soundtrack)(para. 80). This is because the soundtrack could not have been “commercialized as a separate product” and it had no “stand-alone value … generating profits only as an accessory to the television show”. Sometimes the law is funny and awful thing: in awarding “non-pecuniary” damages to Robinson as compensation for his psychological suffering, the SCC re-affirmed that there is a cap on “non-pecuniary” damages arising from bodily injury (that cap currently being around $315,000), but no cap on “non-pecuniary” damages arising from things like defamation or copyright infringement (see paras. 93ff). In other words, the courts will cap the amount of damages you can recover for psychological suffering if you lose some limbs, but no similar cap is appropriate where, say, someone said something mean about you, or they copied that poem you wrote. I won’t say anything further about this topic because it’s just so absurd and life is too short, and etc., etc. The SCC’s discussion on punitive damages is just… so bad. The discussion takes place in paras. 133-142. Being as kind as possible to the reasoning, the Court adopts a “Goldilocks” approach: the amount of punitive damages awarded by the trial judge ($1,000,000) was “too high”, the amount awarded by the Court of Appeal ($250,000) was too low because it “fails to fully reflect the gravity of the conduct and the need to deter others”, so $500,000 is perfect. Quite why $500,000 is the preferred amount is unexplained – I guess it’s a nice, round number, so there’s that to be said for it. If the reasoning around the punitive damage award was less rationalistic, it would likely be less objectionable: rather than trying to wash the inherently subjective awarding of punitive damages with a patina of determinism, the Court would be better off simply acknowledging that there is little, if any, substantive content to their various pronouncements on the topic and deferring to the trial award (they seem happy to do so for so many other aspects of the law, both in this case and others, why not punitive damages awards?). A final observation about the Robinson case, if the reader will permit me to editorialize even more than I already have. As noted by Yves Faguy, Brian Myles, writing in Le Devoir, has observed that the process in the Robinson case is illustrative of a grave access to justice problem: the case ground on for nearly two decades, costing Mr. Robinson millions of dollars in legal fees, and occupying untold hours of court time through multiple streams of court decisions, motions, counter-motions and appeals. Though ultimately triumphant, Mr. Robinson’s victory appears Pyrrhic: he is described as deeply in debt, “ruined and psychologically broken” by the dispute. That this dispute cost so much, took so long and exacted such a price on the plaintiff is nothing short of disgraceful. In early November, SOCAN (the Canadian performing rights collective) announced the entering into of a new agreement which probably should have garnered more attention than it did: YouTube earnings unlocked for SOCAN members. The basics of the new arrangement are this: SOCAN has entered into an agreement with Audiam, an organization which licenses “synchronization” right in compositions and recordings (as described in the Audiam FAQ), to collect revenues from YouTube arising from the use of songs in videos uploaded to YouTube. Audiam itself has evidently entered into an arrangement with YouTube for the license of the “synchronization” rights in compositions and recordings – the “synchronization” right is the right to control the “pairing” or “synchronizing” of compositions or recordings with visual elements; when a recording of a song is used in a video, a license is required from the owners of rights in the composition and the recording of that composition (if just the composition is used, e.g., when a video consists of the live performance of a composition, then just the license from the owner of rights in the composition is required). The revenue in question arises from advertising revenues which YouTube collects for ads which are shown in conjunction with the revenues. SOCAN will be collecting from Audiam revenues payable to the owners/administrators of rights in the compositions (presumably the owners of the rights in the recordings will be contracting directly with Audiam or YouTube). Notably, the Audiam arrangement includes revenues from what I’ll call “unauthorized” videos – in other words, Audiam collects revenues not just from “official” videos which the copyright owners have created and uploaded to YouTube, but from “user-generated” videos, such as the proverbial “dancing baby” video where someone uses a song in conjunction with a video the user themselves has created. one factor not addressed by the announcement (and there’s no reason to expect that it should or would have been) is how this interfaces (or not) with the “Non-Commercial User-Generated Content” provision found in Section 29.21 of the Copyright Act (Canada) – that provision had been referred to by many (including me) using the short-hand “YouTube exception”; might this be taken as an admission that YouTube itself cannot rely on the shelter provided by Section 29.21? A move away from the “omnibus” tariff process and towards “bespoke” licensing arrangements seems important and one worth further discussion – it will be interesting to see whether similar future SOCAN announcements will be made with respect to other online platforms. The Canadian Media Production Association (CMPA) recently published the first in a series of white papers dedicated to branded entertainment in Canada. The first white paper, released at Merging Media in Vancouver on November 6-7, 2013 focused on The Branded Entertainment Landscape. 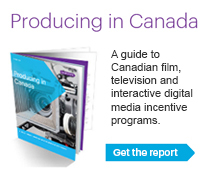 The second white paper focusing on the issues facing Canadian independent film, TV and digital media producers is scheduled to be released at CMPA’s Prime Time in Ottawa taking place February 19-21, 2014. And, the final white paper, discussing the future of branded entertainment, is due to be released later in April 2014. The study provides an in depth look at the industry and provides examples and input from Canada’s branded entertainment and media industry leaders, including Sara Perry, an associate in Heenan Blaikie’s Toronto office who regularly provides legal advice to both advertisers and entertainment companies operating in the branded entertainment space in Canada.